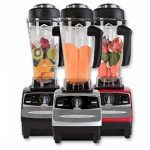 Unlike with other blenders, cleaning your Vitamix blender will only take a few moments of your time. 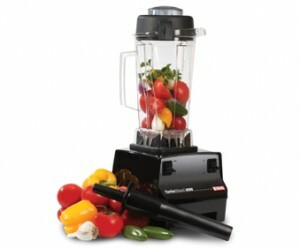 To get started, you will first need to quickly rinse your Vitamix blender to dislodge any food or residue. Secondly, you will need to fill the pitcher of your Vitamix blender halfway with warm water and add a few drops of dish detergent. Next, make sure the lid of your Vitamix blender is firmly attached to the pitcher. 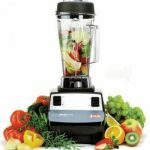 Then, you will need to turn your blender on to the lowest variable setting and gradually allow it to work its way up to the highest setting. 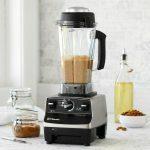 Allow your Vitamix blender to run for approximately 1-2 minutes, and then shut it off. 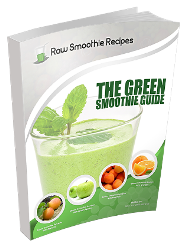 Finally, all you have to do is rinse out the pitcher and allow the blender to dry thoroughly. 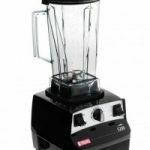 The process of cleaning your Vitamix blender only takes a few moments of your time, and it will produce clean, professional results each and every time that you clean it.